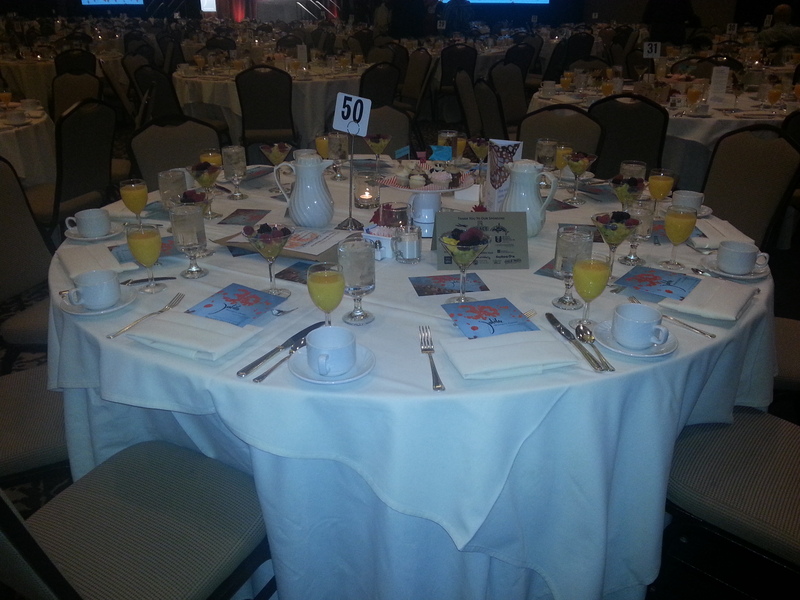 This is a belated post about the Jubilee Benefit Breakfast on October 3. 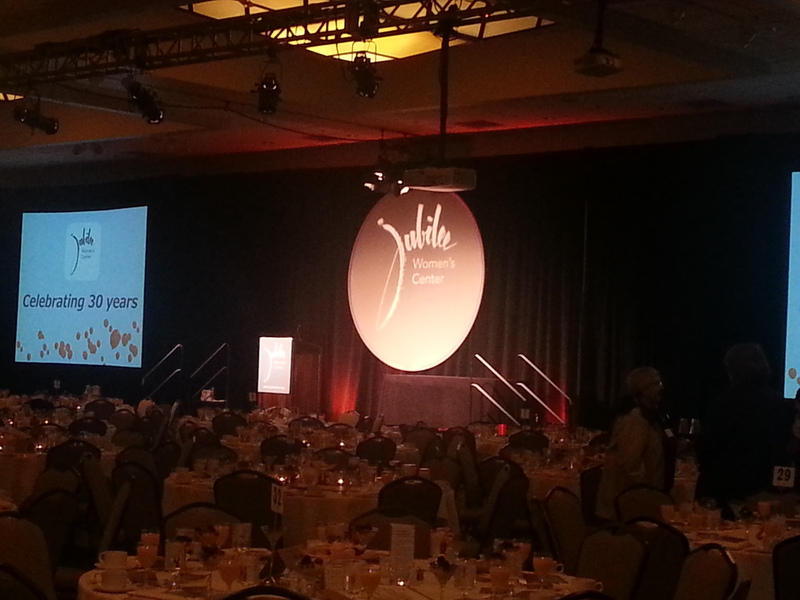 The event was a huge success, raising $258,698 to support Jubilee’s programs. 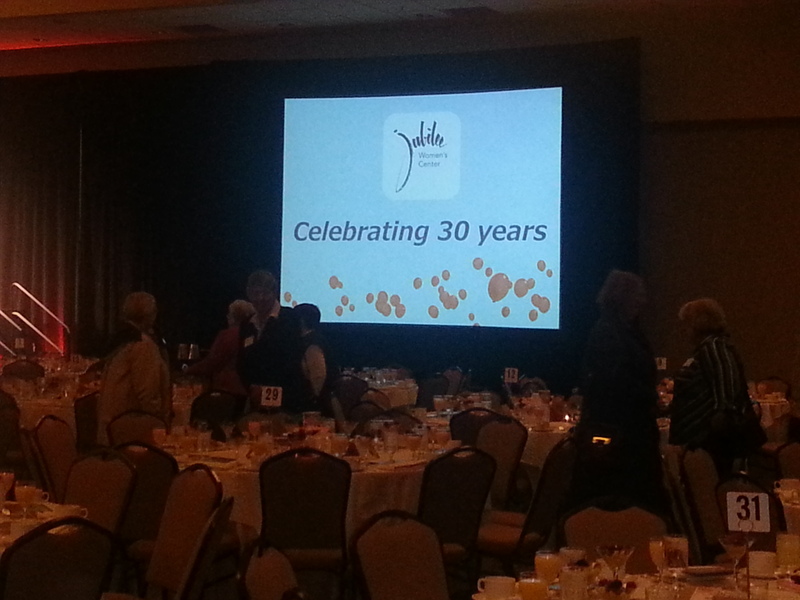 It’s Jubilee’s 30th anniversary this year. We wanted to give a special thank you to our teammates, friends, and significant others who contributed to this event…. Lori, Tara, Linnea, Mirna, Sandrine, Niels, John, Jason, and Candice. Thank you for your time and donations. 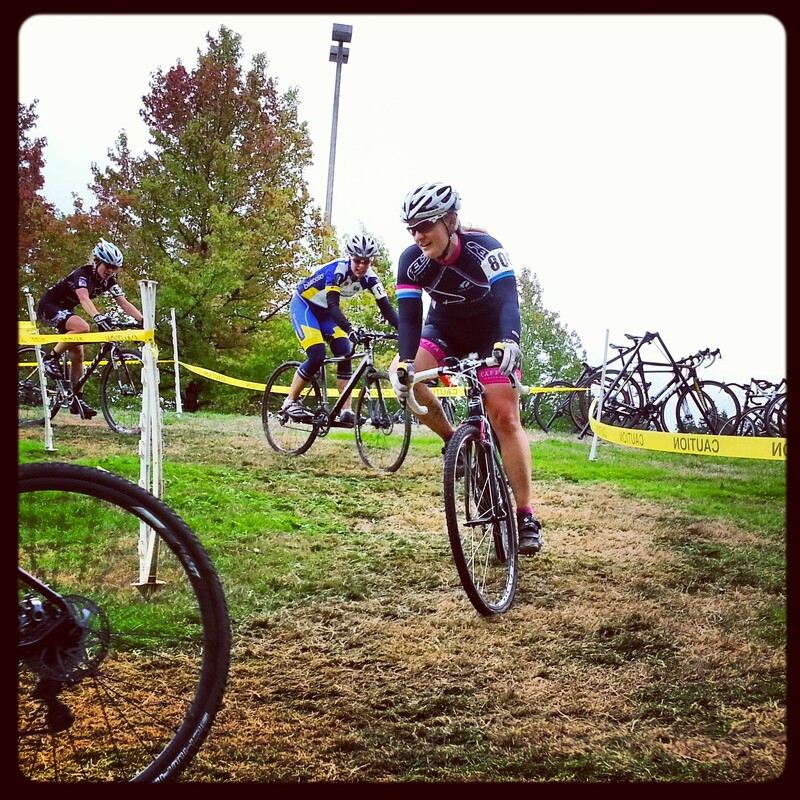 Here’s the truth: I never thought I’d give cyclocross a shot. I already owned bikes for three disciplines – did I really need another? 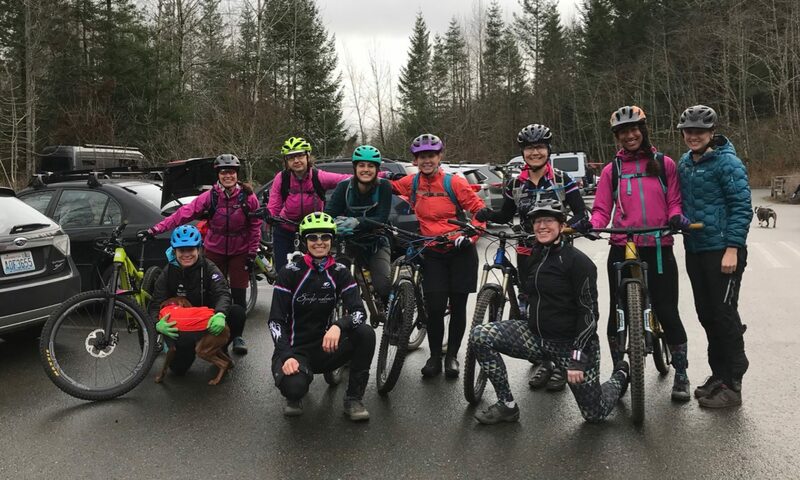 But after moving to the Pacific Northwest, where it rains all winter and cyclocross is king, I thought, “why not?” I borrowed a bike from my teammate, showed up to a local cyclocross clinic, and was hooked. 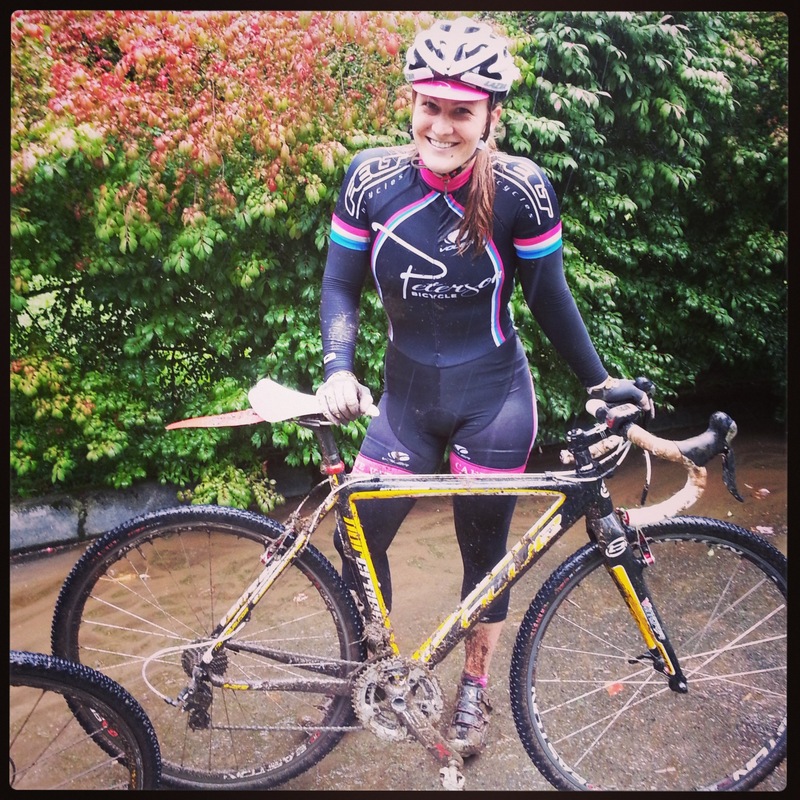 DRY: My first real race was Rapha Starcrossed at Marymoor Park. The promoters pulled out the stops! 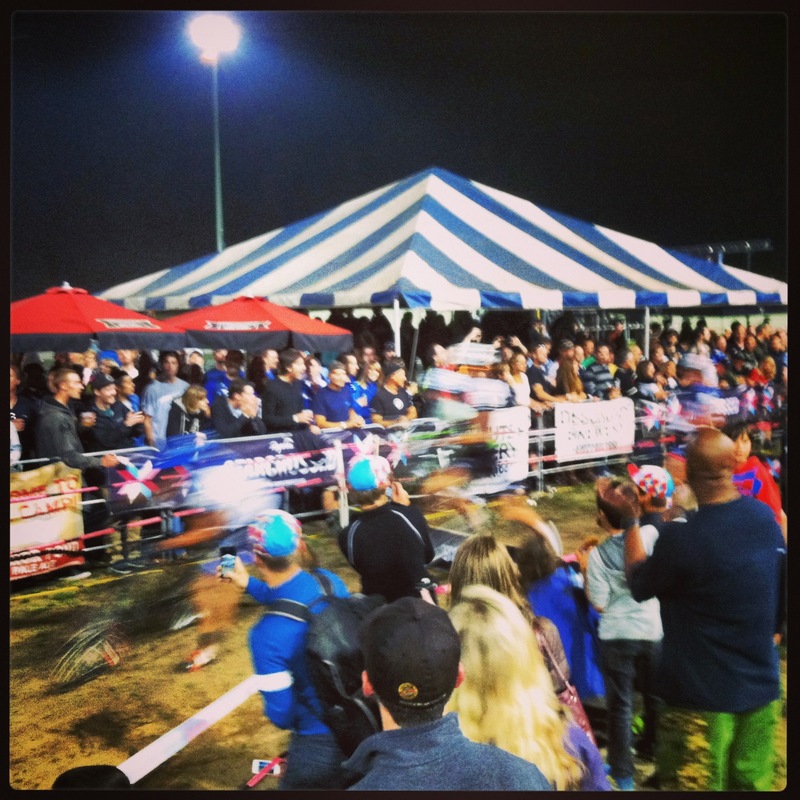 The atmosphere was electric: a beer garden, a huge line of team tents, food trailers, professional riders and their support crew, and lots of spectators. The biggest surprise was the size of the women’s field. The cycling community has worked hard to get more women interested in all disciplines and its efforts didn’t fall short: there were FIFTY women’s cat 4s at the start line. Collectively, among all of the categories, there were well over 100 women lining up to race. The start was fast and the course was dry. The cat 4 women’s field is a crazy mix: brand new racers bump elbows with fast women who can carve through corners and jump on and off their bikes with ease. I’m somewhere in between: I can throw down the power in the flat sections, but my technical skills are a bit weak, so I took the tricky sections pretty slowly. The only way to get faster is to practice. By the end of the race, my lungs and legs were burning, and my face was covered in a layer of dust and sweat. After 5 agonizing laps, I finished in 20th place, solidly mid-pack, but still nearly five minutes behind the winner. The best part? I spent the rest of the afternoon watching some of the country’s elite cyclocross racers crush the course at amazing speeds. All the cheering and shouting left my voice hoarse. WET: Next up was McCollum Park. It felt like fall arrived in Seattle overnight: after a warm sunny Friday, things were suddenly chilly and wet. But I was excited for my first taste of “real” cyclocross. Forget about the dry, dusty courses and bring on the mud! It turns out that this race was the perfect transition into winter conditions. The course included a little bit of everything: a BMX track, lots of wide sweeping grass corners, two barrier sections, and a twisty, forested obstacle course of loose dirt and roots. Add a lot of wind and a bit of rain, and it was time to get going! The slippery grass made me nervous; it was the first time I’d tested the limits of my tires and my handling skills. It was slow going in a few places, but by the final lap, I began to learn what my bike could do. I also had a spectacular “learning” moment: my foot didn’t quite clear one of the uphill barriers and I fell face first into the ground. I couldn’t help but smile as I picked myself up off the ground. Few other sports compare to cyclocross. When else are you expected to ride through sand and mud, jump off your bike, leap over wooden boards, and hope to make it to the finish line first? I got up to cheers, a spectator helped me reseat my now-crooked rear wheel, and kept going. I finished 16th out of 34 – and learned a lot. 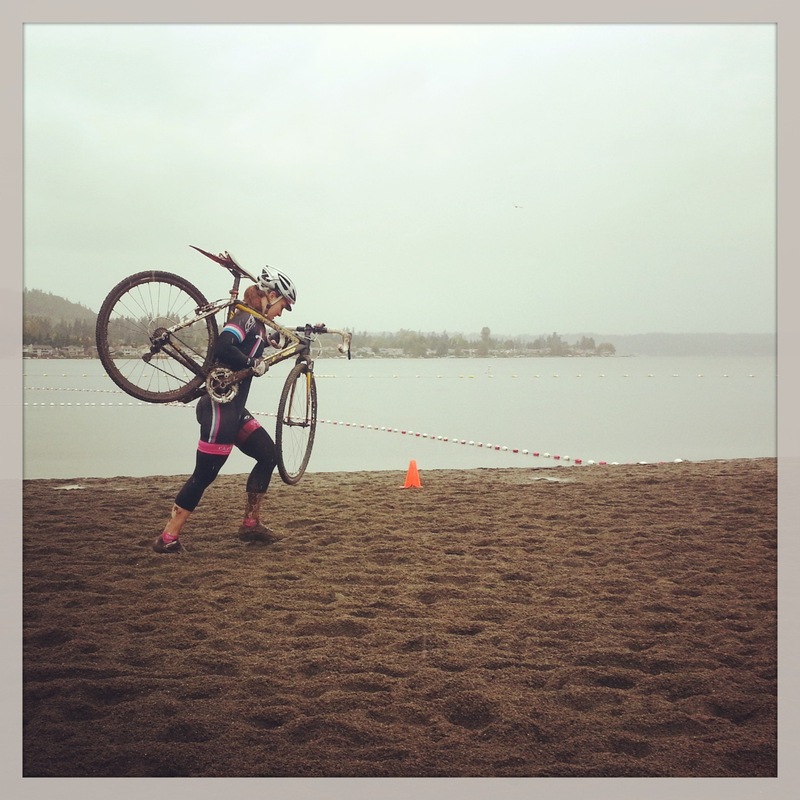 MUDDY: Rounding out the trifecta was my third race of the season, Lake Sammamish. Muddy doesn’t even begin to describe this race. This was “real” cyclocross. I nervously pre-rode the course and laughed the whole time – I couldn’t believe that I was paying money to ride my bike in this mess! The mud was inches deep. I was advised by my teammates and other riders to “just get off and run” in sections where the mud was almost too deep to ride. From the start, I didn’t feel great. My legs felt heavy and my perceived exertion was high – the deep mud felt like quicksand and it felt crazy to put down all that power and barely feel your tires turn. I stopped worrying about my final result and decided to learn how to ride in the mud! This course was less about line selection and more about staying upright. It was a fine balance between power, handling, and strategy. The beach run was a lung burner. 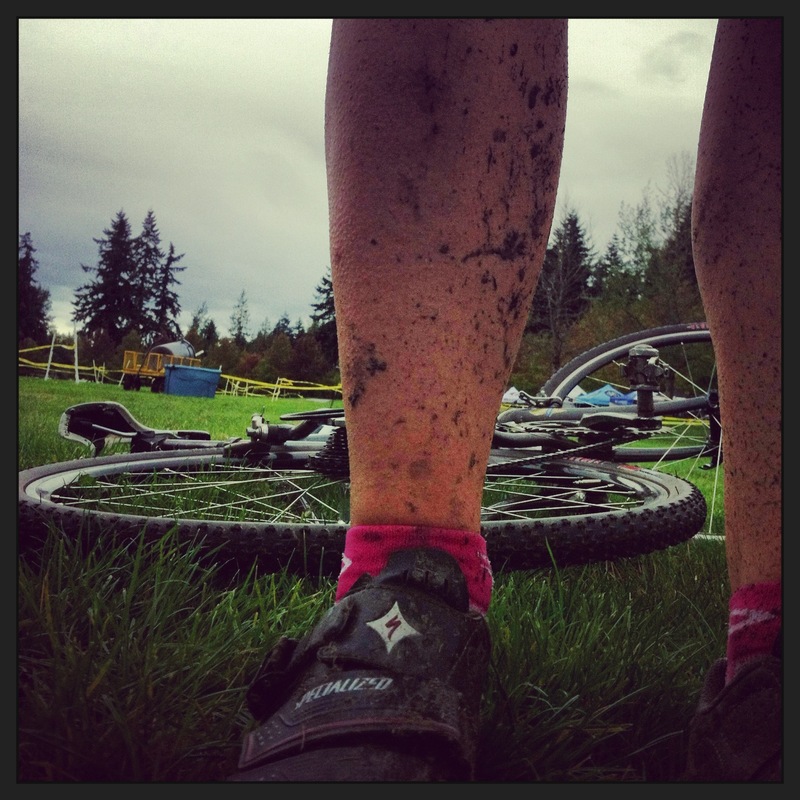 Running in sand is hard enough – try doing it in bike shoes while carrying a bike covered in mud! I slipped and slid through most the corners, running some of the sections (and passing people who stayed on their bike). As a beginner, I was satisfied with another mid-pack finish – 21st out of 39 – and felt very happy about surviving the mud! 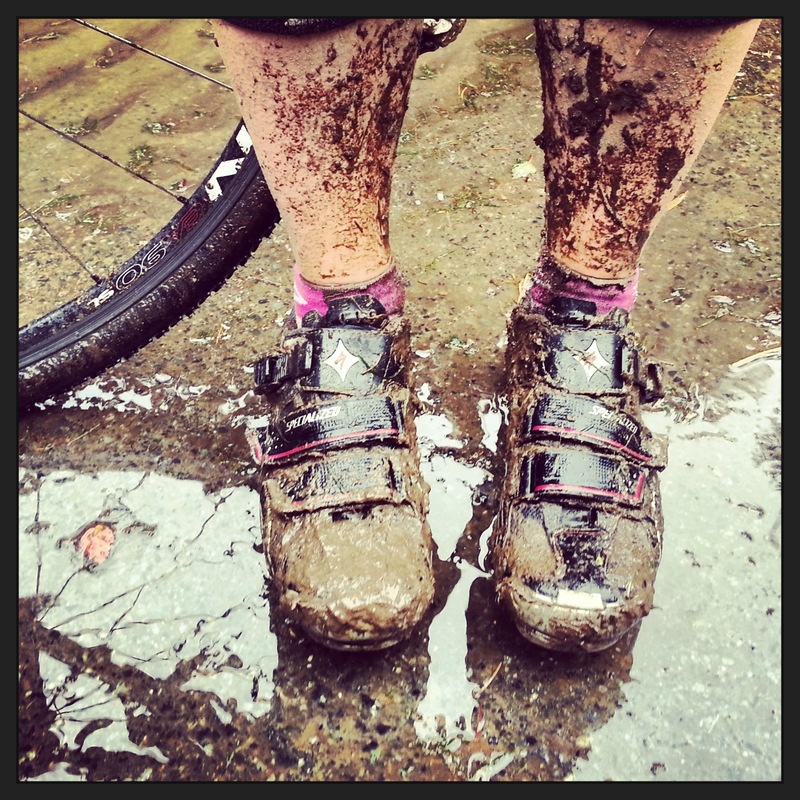 The best part about cyclocross? It’s a blast. Lots of competitive racing without any pressure or attitude that can sometimes overshadow the fun. 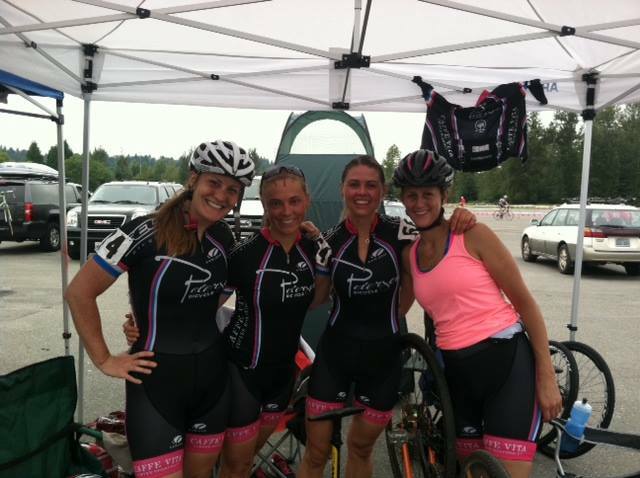 I’ve also loved getting to race and spend time with my awesome teammates. The Spokeswomen have been out in force – with some very impressive results. We’re ready for more, so bring it on.